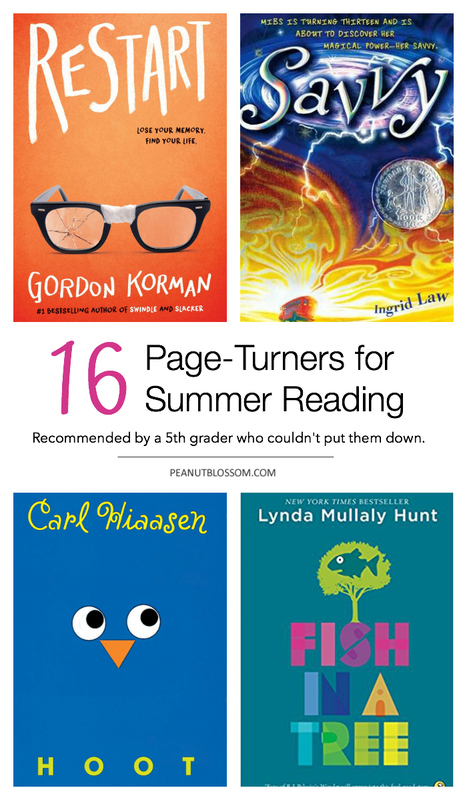 Are your kids participating in a summer reading challenge? 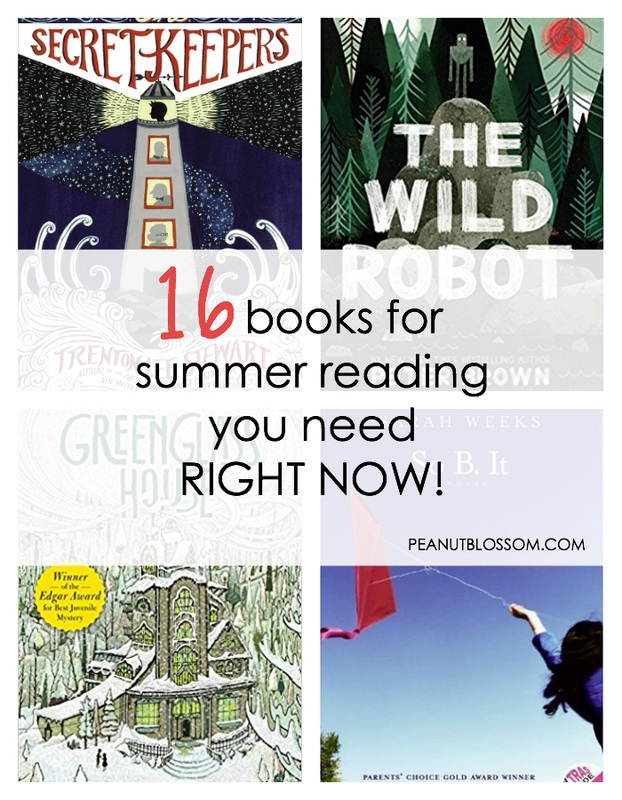 Here’s a great list of books to keep them reading all summer long, I dare you to not steal them from your kids! If you need inspiration for where to find a reading challenge, don’t miss our favorite summer reading programs here. My Peanut graduated from 5th grade on Thursday, where did the time go?? I can’t believe we’re already moving on to middle school this fall. The 5th graders ended their classes a day before the rest of the school. So, to help us not spiral down into tears and sentimentality, we distracted ourselves after the graduation ceremony in the best way possible . . . by having a mommy-daughter date to Barnes & Noble on a school day afternoon. 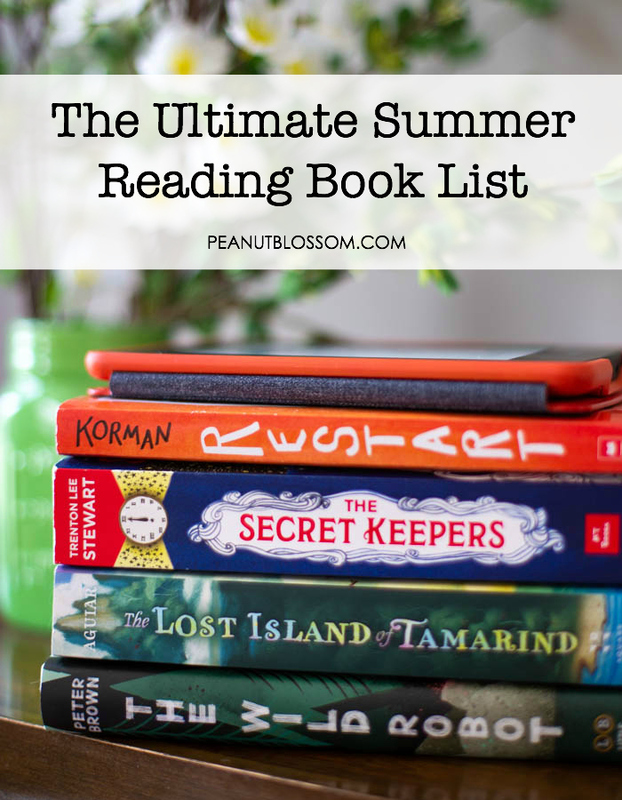 While Little Pea was finishing up 2nd grade, the Peanut and I were busy scouring the shelves of the children’s book section for awesome picks for a summer reading list for you and your kids. Our finds are so good, I wanted to fill my own To Read list with them! Some of these recommendations come directly from her just-finished reading shelf: books she has loved so much she’ll come into our bedroom late at night because she just has to tell us all about what she just read. Some of these are books we found together and thought looked interesting. I’ll mark the ones we haven’t actually read yet so you can make up your own mind! 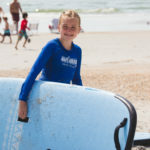 I worked together with my 11 year old daughter to create this list for you. 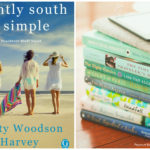 Below you’ll find recommendations she wanted to put on the list, books we found together at the store, and a few recommendations I’ve found on my own by stalking Amazon book lists and recommendations from friends. Restart: The Peanut’s whole class fought over the limited copies of this book at the school book fair. She finished it in just a few days and couldn’t stop talking about it. Get the book here. Savvy: She spotted this in my Kindle “Finished” folder and was curious enough to read it she finally asked to read it on my old Kindle Paperwhite. She read it in just a couple nights and begged to get the sequel on hold from the library. Get the book here. Holes: Handman Tim and I are both huge fans of this book so we were thrilled when she showed interest. This is a perfect Read the Book, Watch the Movie. It would make for a great family read aloud and movie night, too. Get the book here. Fish In A Tree: This was one of two options for summer reading homework from the middle school. The Peanut chose to do it over spring break to get it done. She loved the book and ended up enjoying the homework more than she expected. Get the book here. So B. It: This book is being made into a movie that releases this fall. Watch the trailer here. I snagged it on Kindle for $1.99 this week and I am interested in reading it, too. Get the book here. The Secretkeepers: By the author of The Secret Benedict Society (which we also loved), this looks like a great kids’ mystery. Get the book here. Book Scavenger: The Peanut gravitated to this book and didn’t want to leave it behind at the store. She talked about it the whole way home, so I grabbed the Kindle version when it dropped to $3. 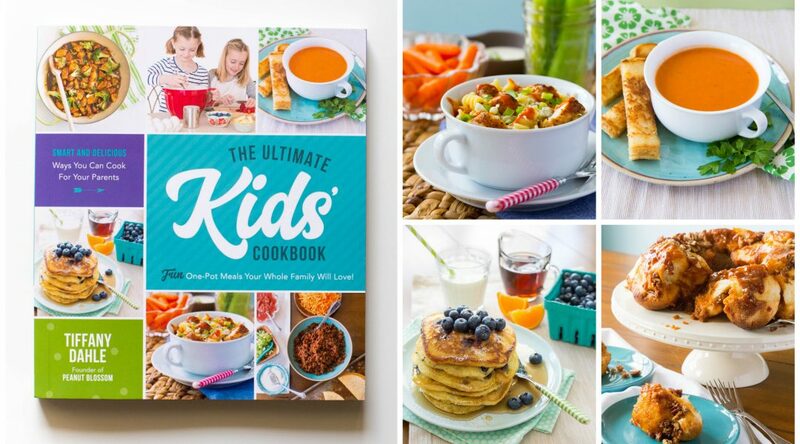 Great for kids who have loved Mr. Lemoncello’s Library. Get the book here. Greenglass House: This is one of the reward books you can get from the Barnes & Noble summer reading program. I’m secretly hoping the Peanut earns it so I can read it, too. Get the book here. The Wild Robot: This made the North Carolina state book awards list this year. The illustrations are great and the chapters are super short. It will make for a quick read for kids who struggle with longer chapters. I might try reading this one with Little Pea this summer, too. Get the book here. City of Ember: The Peanut was intrigued by this one, I remember loving the movie. I think it might fall on the older range of our reading range here but would be great for kids and parents to read together, too. Get the book here. The Lost Island of Tamarind: A kids survival adventure book, I gave it to the Peanut when she was too young and she couldn’t get past the scene in the beginning where the children become orphaned. I suggested she try it again this summer. Get the book here. When You Reach Me: I bought this on Kindle when the price dropped but now I see it everywhere I go. If you enjoyed Wrinkle in Time, this sounds like a winner. It’s won a ton of awards and has excellent reviews. Get the book here. The List: “Fahrenheit 451 meets The Giver for middle grade readers!” Another more advanced book, I think it sounds like a great one to read with the kids and discuss it as you go. Get the book here. 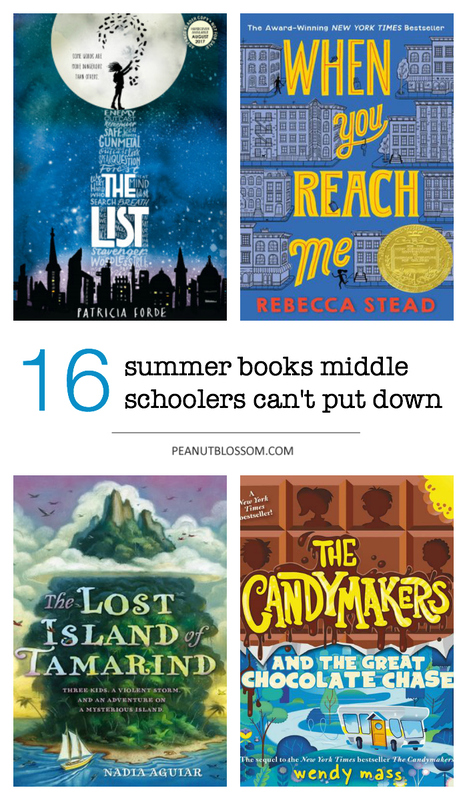 The Candymakers and the Great Chocolate Chase: The sequel to one of our summer books from last year, I LOVED the first one. I might read this on my own! ha. Get the book here. The Mother-Daughter Book Club: With the new Little Women mini series on PBS, I am desperate to share my favorite childhood book with my girls. But, I might seriously have to disown them if they don’t love it like I did!! I spotted this cute fiction book about a mom daughter book club that reads Little Women together and I thought maybe that would be a better place to start than with the actual classic itself. Get the book here.